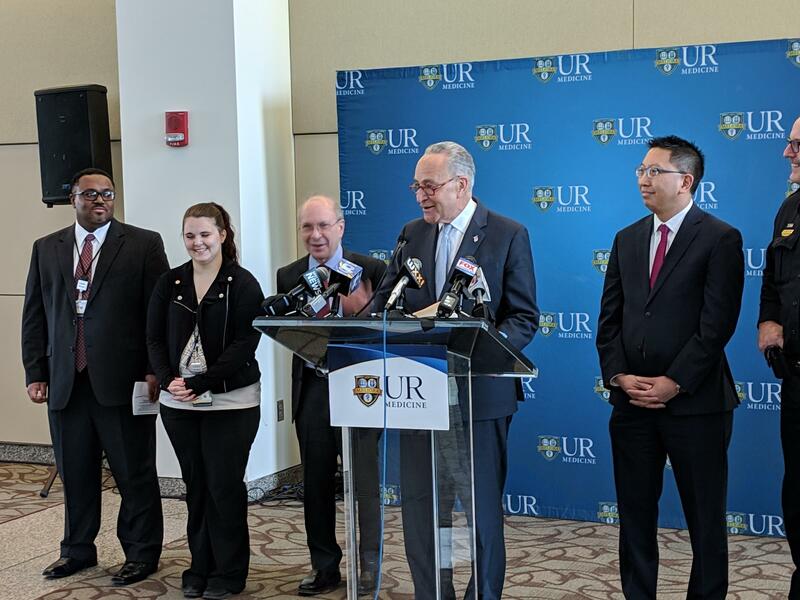 Senator Charles Schumer, speaking Monday at the University of Rochester Medical Center, called on his Congressional colleagues to pass legislation that would extend funding for a comprehensive opioid and mental health care services pilot program, which has treated thousands of patients in the region. It's called the Certified Community Behavioral Health Clinic, or CCBHC. Kelly Quinn, a recovery peer advocate for CCBHC and a recovering addict, says the clinic has a proven track record in tackling the opioid epidemic. “Now we find a program that is proving to be efficient and effective, I don't even think it should be a matter of discussion, the funding should just be extended," she said. Medical Director of CCBHC, Patrick Seche, says it offers a comprehensive set of services. Patrick Seche is medical director at CCBHC. He says the clinic provides mental health and addiction treatment, crisis services, psychosocial rehab, peer and family support, and case management services. 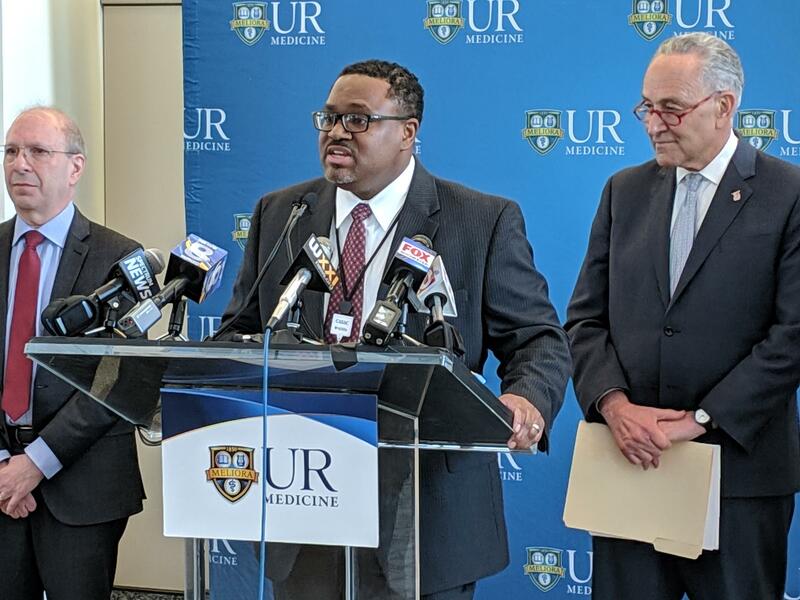 “It's a comprehensive set of services that not only focuses on the patient's disorders, but on wellness, [and] on guiding our patients on the path of long-term recovery," he said. The funding that would maintain and expand CCBHC's services runs out in June. Schumer said there is bipartisan legislation that would keep the program going which has helped treat more than 6,000 patients since it started two years ago. “This clinic works, it's successful, and it's needed to fight one of the greatest problems we have in America now," he said. "I will be doing everything I can so we can come back after July 1 and say we have many more years of success in fighting addiction and mental illness and mental health problems here at CCBHC." Schumer is pushing for immediate passage of the Excellence in Mental Health and Addiction Treatment Expansion Act to help patients like Quinn get on the road to recovery even quicker. "The clinic is life changing," she said.